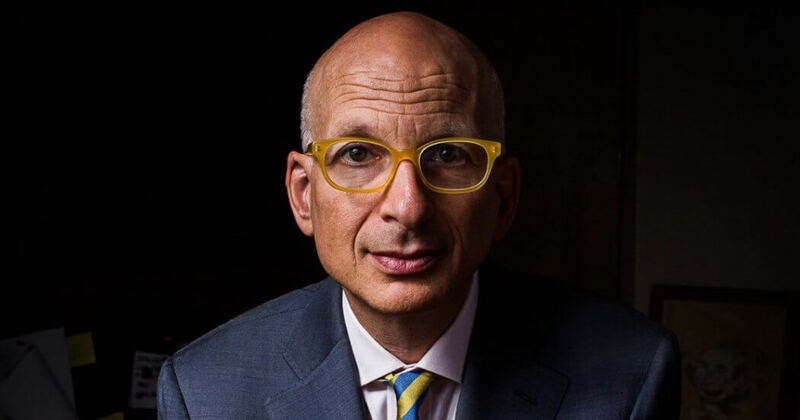 In the first episode of the new season of Simplify, Seth Godin tells Caitlin how to make strategic choices, why fear is blocking our productivity, and what it means to be remarkable. We’re kicking off season 2 of Simplify with marketing whizz, Seth Godin. Godin is probably best known for his wildly popular marketing blog which contains over 7,000 pithy entries—and counting! In this episode, he shares some of the insights he’s gained over the years about how to commit to work that matters to you, how to achieve success, and how everyone has the capacity to be remarkable. In a world where the means of innovation and expression are constantly evolving, it can be hard to divine which projects are really worth your time and effort. Godin offers up ideas about how to make the best choices for you, and how to become indispensable to their success once you’ve made them. The key to it all? Face those fears. He’s written several bestsellers on this topic, among them Permission Marketing, Purple Cow and Linchpin. They investigate what great marketing means, but also how you can be remarkable at what you do. By the end of this episode, you’ll learn how to start making progress on meaningful work by beginning to overcome the very human fear of putting things into the world. Seth Godin is an author and entrepreneur, best known for his popular marketing blog. To date, he’s written 18 books, several of which became New York Times bestsellers. Having started his first marketing job at 12, Seth Godin became a multi-millionaire author, speaker, and content creator, who now teaches innovative marketing trends and successfully transforms businesses worldwide. This season, we are collecting your voices, dear listeners (not as creepy as it sounds)! You can just record your answer with a voice memo app of your choice and then email it to us at podcast@blinkist.com. We are looking forward to listening to your responses, and stay tuned—you just might hear yourself on a future episode of Simplify! If you want to say hi to Ben and Caitlin in the meantime, you can find them on Twitter: @bsto and @CaitlinSchiller. Stellar research and production assistance by the outstanding Natallia Darozhkina and Nika Mavrody. Sound and editing by Ody Constantinou, who’s thankfully just back from his sabbatical playing poker on a riverboat casino on a river somewhere outside of Shanghai.